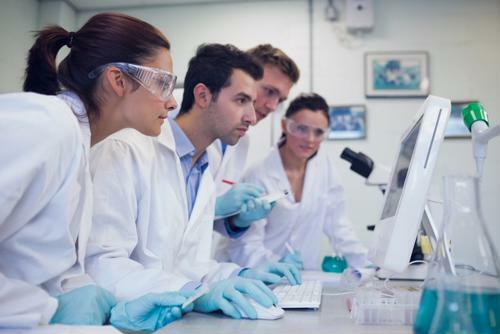 In a life sciences setting, whether you are a postdoc researcher, principal investigator or undergraduate researcher, you do have some control over picking an all-star lineup in the lab. Choosing the people that you work with each day in life sciences is very important for several reasons. Maybe you are a university professor who has just been granted funding and are looking for postdoc and undergraduate staff. Or, you might be a postdoc researcher looking take the next step with your adviser. These decisions might seem trivial, but when it comes to who you will choose to work alongside in the lab, the repercussions could affect your career either positively or negatively years later. From lab technician to principal investigator, every person in the lab has a role to fill in life sciences research, and all of these positions are valuable. According to the scientific journal Nature, educational paths can have influence on what kinds of people may join you in the lab. For instance, an undergraduate student might not have a lot of pragmatic experience in a lab setting, but if he or she is highly motivated and willing to gain research expertise over time, it could be a great match-up for faculty members. In fact, some individuals have even been known to make careers out of being a lab technician for that very reason. As Nature pointed out, there are 32 community college programs in California alone that cater specifically to technician work in the biomanufacturing industry. What's more, the source cited the U.S. Bureau of Labor Statistics report indicating that the scientific technician market will grow by 12 percent between 2008 and 2018. Everyone has a seat at the table when it comes to the lab - but do you understand what it takes to put together your life sciences all-star team? According to Burroughs Wellcome Fund, an independent private foundation that's dedicated to advancing biosciences, selecting the right people for your lab "requires a bit of calculus," meaning that all of the of the moving parts in the lab have to move just right. On the one hand, you will need to divide practical and intellectual tasks based on individual strengths and weaknesses. Many professional researchers will have their names published along with their research, so the people carrying out this work will have a direct impact on their their future career. Likewise, choosing the right lab manager will help undergraduate and postdoc researchers better outline their career trajectories. In life sciences research, the people you are working with can have a significant impact on where you see yourself five or even 10 years down the road. Just like any other industry, the people who put in the time at the lab are going to make a lasting impact on whether or not the organization is a success. The Burroughs Wellcome Fund suggests that postdoc researchers start thinking about the staffing needs for their future projects before leaving their postdoctoral positions. This way, depending on what your specialty is, you can staff a researcher with excellent instrumentation skills or someone who is specialized in microscopy. As a postdoc researcher, you will know what kinds of traits to look for in order to further your individual goals as well as the goals of the organization. Once you have a great lab set up in place, you can then start integrating possible candidates with mixture of undergraduate and postdoc researchers. The size of your lab, of course, will depend a lot on your research intent, funding and resources. The affordability of your candidates will also need to be considered moving forward. Keep in mind that it's also good to work in a lab with people you actually enjoy being around. Lab hours can be long, so it's a good idea that you don't encounter any major personality clashes. One thing is for sure - you want to be thorough with your search. Too many professional researchers have encountered those times when they realized they are working with an inexperienced researcher.